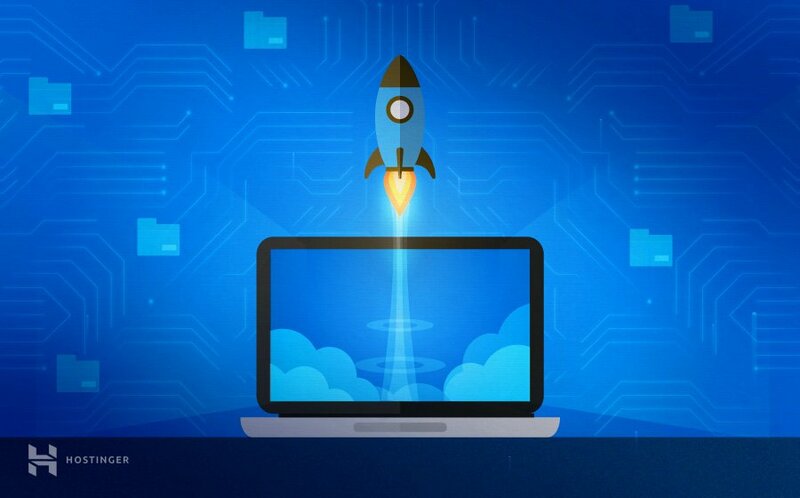 Uploading website files is one of the very first steps users have to take in order to publish their creation on the Internet. This tutorial will provide a generalized example on how to upload a website using the most common tools. Access to the control panel of your hosting account. Your website’s files (preferably in .zip or .tar.gz archive) and database (if used). An FTP client such as FileZilla and the FTP login details (optional). First things first, you’ll need to find the right web host. Making a website is not something that you should take lightly. Therefore, you must pick a top-notch host who has all the key features to kickstart your web project to the sky. Live support. There’s no worse feeling than getting stuck and finding out that there’s no one to help you out. If a web host does not offer live chat or a phone hotline, then you might find yourself in a tough spot from time to time. Control over your web hosting space. The less control you have over your account, the more likely you are to run into trouble when your site starts growing. A good example would be comparing WordPress.com with WordPress.org (the self-hosted version). Room for growth. Most successful websites play the long-term game. Before you commit to a web host, make sure they have scalable solutions just in case your website starts requiring more firepower (such as virtual private servers or cloud hosting). Money-back guarantee. Nobody likes a bad investment, so make sure to check for a refund policy. This will give you a timeframe to test everything out before fully committing to use the service. Extra goodies. Who doesn’t love a good deal? For example, we include a free domain registration with every annual web hosting plan (and the Business package includes a free lifetime SSL too!). In short, try to hit as many birds as you can with one stone. A browser-based tool with all the key features to take care of your files and directories. You’ll get one at Hostinger too! However, one downside that you can encounter is the upload limit. If your website backup is larger than 256MB, you should use FTP instead. Since every web host includes FTP by default, you can use it to configure an FTP client (such as FileZilla). All the required will be located in FTP Accounts under the Files section. If you choose to upload your website using FTP, you’ll come across no size limits. This means that you’ll be able to import your backup archive regardless of how large it is. On Hostinger, you may also find a featured called Import Website. You can use it extract a website archive of up to 256MB directly to the public_html directory. If you’re using WordPress, there are several ways to move your website. One of the easier methods is using a plugin (such as All in One WP Migration), which takes care of the hard part for you. However, it also comes with a 256MB limitation, which can be removed by purchasing the premium plugin version. If a website is larger than using FTP is your best bet. For in-depth instructions, check out our complete WordPress site migration guide. Now that you can know the best tools to upload a website, it’s time to get your hands dirty. Let’s start with Hostinger’s File Manager – our custom made tool aimed to ease the workflow of every webmaster. Once you open it, select the Upload Files icon in the upper-right menu. Next, you’ll need to select the website archive through your computer and import it to our server. Then, use the Extract feature from the upper menu to decompress your archive. And that sums it up for this step. The next one will be making sure that all files are in the correct folder. If you decide to use FTP with FileZilla to upload your site, we recommend extracting the archive beforehand on your local machine (as the FTP client does not have an extract function). By doing that, you’ll be able to transfer all files directly to public_html without doing any extra work. Otherwise, you’d need to connect via SSH later and extract the archive manually. At this point, you need to make sure all the files are located in the root directory of your domain, which is public_html. The “Index of /” message means that your files are not located in the correct directory. Access the directory where your files are located. Select all of them, right-click and select the Move button. Set the destination to public_html and proceed. If your website uses a database, you’ll also have to upload it. WordPress uses one for example. However, if your website does not utilize a MySQL database, you can simply skip this part. Create a new MySQL database and user. Access your newly created database via phpMyAdmin. Use the Import section to upload the backup file. Update the MySQL database connection details (such as database name, host, user, password) in your configuration files. For a more detailed approach, check out our guide on how to restore a database using phpMyAdmin. Once the website files are uploaded, all you need to do is check if it works. If your domain is already pointed to Hostinger, you’ll only need to open up your domain through a browser. Keep in mind that if your domain was pointed to our servers only recently, you may need to wait up to 24 hours for the DNS to fully propagate worldwide. Using the hosts file. There’s a special file on your computer, which you can tweak to emulate DNS changes (if you use MacOS, check this guide instead). Checking availability via online tools. There are lots of them out there! Plus, they’re extremely easy to use. Simply paste in your domain name and the tool will do the rest. Utilizing a browser plugin. If you set up an extension such as Virtual Hosts, you can use it test DNS changes. All you need is the domain name and your account’s IP address (A record). Congratulations, you have just learned how to upload a website. As you can see, you can upload a lot of files at once using an FTP client. However, each file will be uploaded one-by-one and may take a while. On the other hand, the File Manager tool is extremely useful for importing one or two files quickly, making code tweaks, or uploading a website that does not exceed 256MB in size. In case you’ve been eager to start a blog or open up an online store, you now know all the required steps to upload your creation to the World Wide Web! Hey, it should work just fine. I just tested it and WordPress without issues – I was able to install WordPress without errors. Do you get any errors? It should be already fixed by our system administrators. Sorry for the inconvenience caused. same error. sure it fixed? Press File Manager icon in your hosting control panel to access it. yes, that’s what i was looking for. i have been searching for upload my website to hostinger server, here i got the perfect solution. hello i am trying to upload code igniter web site is there any special steps for it and for data base ?? Does it support asp.net sites? Couldn’t manage to start my uploaded page. I have seen that there is a security (and organization) strategy that consists of uploading PHP files outside of public_html. Is this possible here? 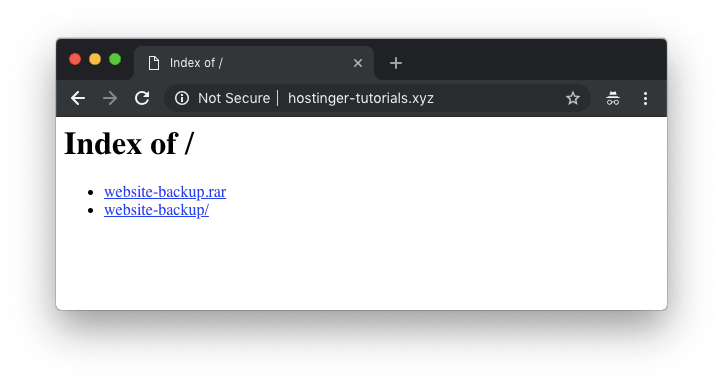 It is possible to upload files outside of public_html on Hostinger. However, they will not appear on your website. Thanks sir, its working for me. Please increase 256MB limitation, It’s too hard to upload a website! Thank you for the feedback! I’ve passed your idea along to our devs and hopefully, it gets increased soon. For the time being, I’d recommend using an FTP client, as there’s no upload limit there.